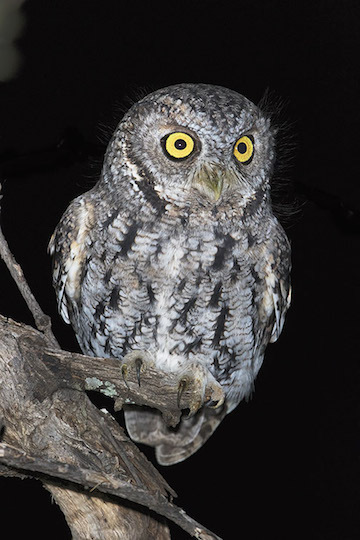 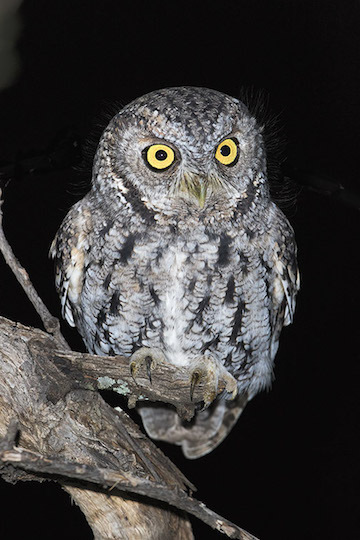 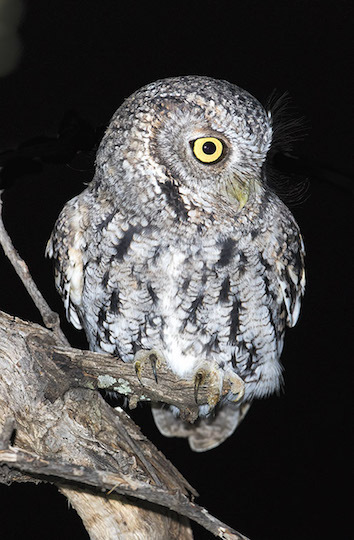 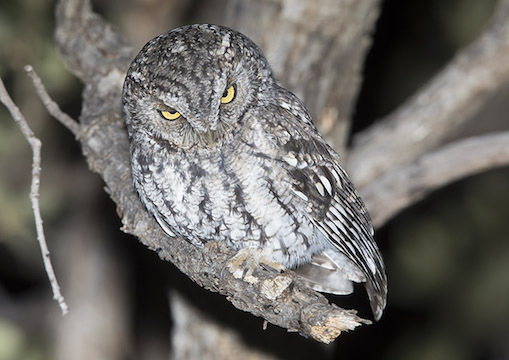 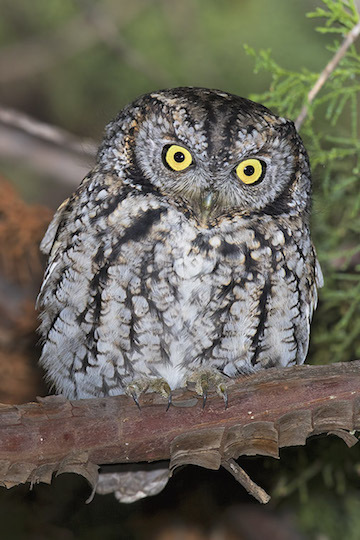 Whiskered screech-owls are found in the US only on a few of the mountain ranges ('sky islands') in southeastern Arizona. 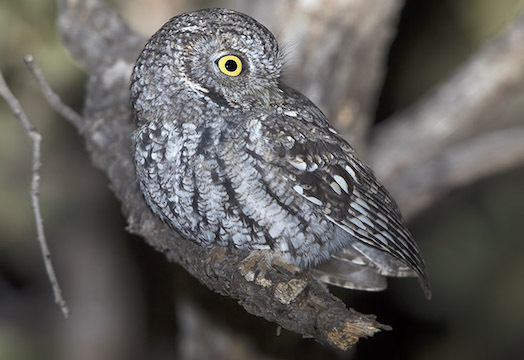 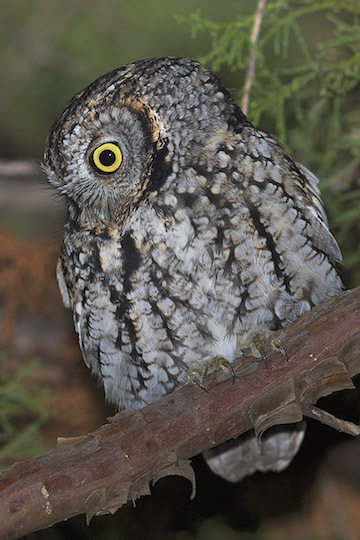 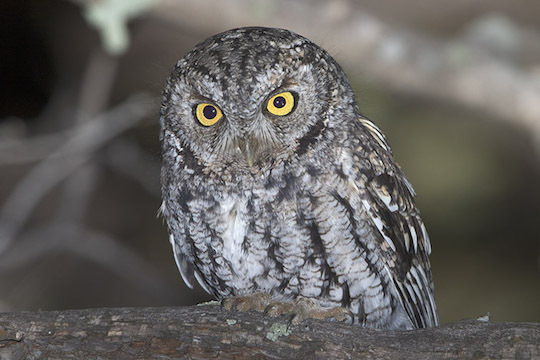 They have a characteristic 'telegraph' duet call between mated pairs and otherwise closely resemble western screech-owls, which often live in adjacent habitats. 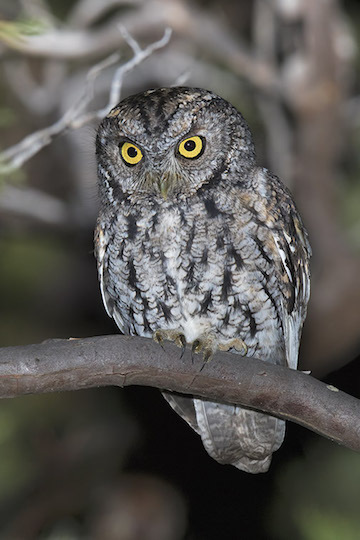 These were in Madera Canyon in the Santa Rita Mountains near Tucson.